Due to their content in fiber, they help restore a normal bowel function. In addition, diarrhea usually depletes your body of important electrolytes (of which the most important is potassium, contained in high amounts in bananas). They also contain pectin, a soluble fiber (hydrocolloid) that can help normalize movement through the digestive tract. About 190,000 cases of kidney cancer are diagnosed each year. Research published in the International Journal of Cancer has shown that daily consumption of whole fruits and vegetables, especially bananas, is highly protective to kidney health. The results show that, over a long timeframe (13.4 years), women eating more than 2.5 servings of fruits and vegetable per day cut their risk of kidney cancer by 40%. Among the fruits, bananas were especially protective. Women eating bananas four to six times a week halved their risk of developing the disease compared to those who did not eat this fruit. The conclusion of the study is that frequent consumption of fruits and vegetables, especially bananas, cabbage and root vegetables, may reduce risk of kidney cancer. This is because bananas and many root vegetables contain especially high amounts of antioxidant phenolic compounds, while cabbage is rich in sulfur, necessary for effective detoxification of potential carcinogens. Bananas are extremely high in potassium (about 4673mg), yet very low in sodium (1mg), thus having a perfect ratio for preventing high blood pressure. So much so, the US Food and Drug Administration has just allowed the banana industry to make official claims for the fruit's ability to reduce the risk of blood pressure and stroke. Bananas can also help people trying to give up smoking. They contain vitamins B6 and B12 they contain, as well as potassium and magnesium: these substances help the body recover from the effects of nicotine withdrawal. This is the only raw fruit that can be eaten without distress in over-chronicle cases. It also helps reduce acidity and reduces irritation. 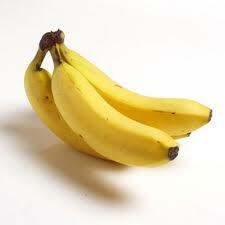 Bananas stimulate the cells on the internal stomach lining to produce a thicker mucus (which protects against acid). Additionally, bananas contain protease inhibitors that help eliminate bacteria in the stomach that have been pinpointed as a primary cause of ulcers.